Welcome to The CC Invitational Website! Thanks for joining us for this years Trinity / Valkyrie Invitational. In 2018 we saw over 3,500 runners from over 100 schools from multiple states take the course by storm over 2 exciting days of racing. To all runners, coaches and spectators; we hope this year’s Trinity / Valkyrie Invitational is an amazing experience. Just by being here you are witnessing history! 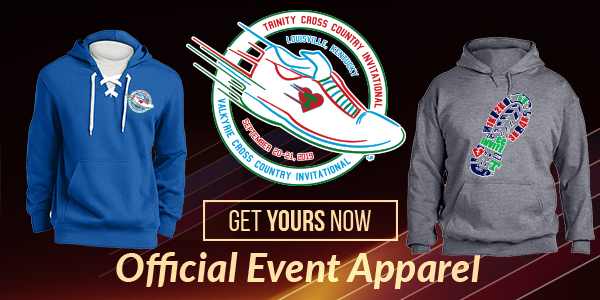 This year will be the 64th Invitational for Trinity, the oldest meet in the state of Kentucky. With the combined effort of Trinity and Sacred Heart, The CC Invite, has become one of the largest meets in the region. We have had an amazing showing over the years, and we are looking forward to an amazing 2019! Please visit the Race Info page to get information about this year's event. May the gentle breeze of friends and family support you, with the sun overhead, as you travel in this race and on the journey, we call life.